November 2010 was marked by our first road trip through the Great Basin region of Utah and Nevada. For the Thanksgiving holiday we rented a vacation home in the Pinyon-Juniper woodlands outside of Cedar City, Utah. The home offers dog-friendly trails among cedars (Juniperus osteosperma) and piñons (Pinus edulis), which we enjoyed with a fresh, cold snowfall at our elevation of 6,000+ feet. These two tree species and their companion shrubs form low, wind-twisted, sun-hardened canopies, and grow in what sometimes appears to be 90% rock. 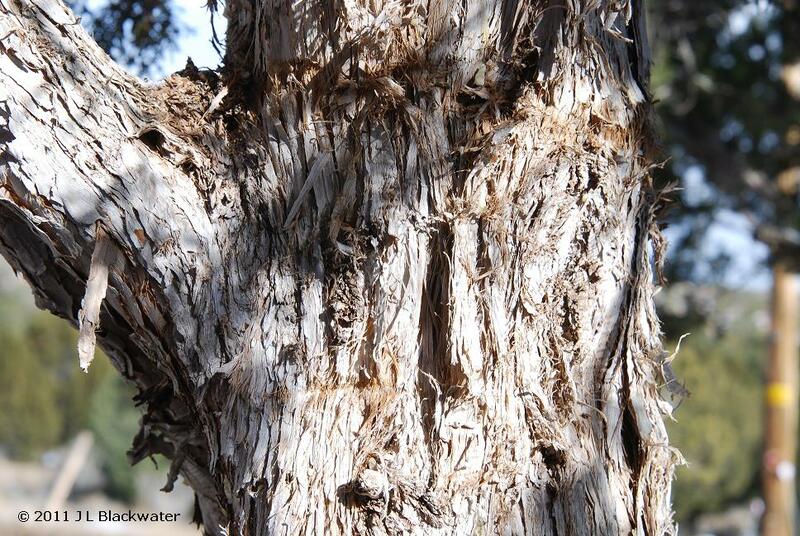 Shaggy-barked Utah juniper is known locally as a cedar, and is the namesake of Cedar City in southwest Utah. The bright blue-red berries are in fact the fibrous cones and an important food source for local wildlife. A fresh lick of white snow makes blues, reds, and greens shine bright against the sky. There is a bit of plant lore available for cedars here, and piñon here. I would like to know more of the local stories about these trees, and I plan to do additional reading. (Future blog posts will include a list of the books which I collected at info stops during the road trip.) If you have a resource suggestion for southwest Utah plant lore, I invite you to share in the comments. She presides over 360-degree views of the Great Basin rhythm where mountain follows valley in successive, colorful symphonies. The more time I spent in this region, the more I felt a growing (and welcome) sense of quiet. The Great Basin is a good setting to empty oneself and prepare to be receptive to new thoughts or projects. We saw a lot of snow and drove a lot of ice during this trip, including a “blizzard-like” event in Cedar City, complete with blowing, swirling snow. Morning snow track reports revealed the nightly comings and goings of jackrabbit, deer, elk, raccoon, and a feline, although I doubt I was lucky enough to be tracking a lynx. (Note to self: must improve track identification skills). I caught a few glimpses of jackrabbits which makes me believe that the locals were the black-tailed jackrabbits (Lepus Californicus), but I cannot be sure. In fact, had I known at the time that many hares turn white in winter, I might have had better luck spotting them! (The hawks clearly knew what was what, as we saw many hunting from the highway, plus one dino-sized bird, the identity of which remains a mystery). Read more about cedars here and here, more about piñon here and here, and play with the Utah Tree Browser here. Blog about trees and send your links for the next issue of the Festival of the Trees, hosted by Rebecca in the Woods. We’re looking for hosts from June forward. Got a blog and an interest in trees? Volunteer to host an issue of the Festival and grow a graft to your community of bloggers. Hosts from all disciplines and persuasions are welcome, as are fresh takes on trees and forests. Forthcoming at Brainripples: more Utah road trip reports in coming weeks, some look backs at the 2010 garden, and satisfying book recommendations. While you can buy pine nuts from many places in the Southwest, most of the nuts for sale in the US are from Pinus koraiensis, an Asian species, not our native pinyon. Which is actually probably good since pinyon are in a bit of trouble (massive mortality!) and each seed unharvested is a potential seedling. Thanks sarcozona – I’m glad you stopped by to share a little more insight on pine nuts. I was skeptical when I heard that gin came from juniper berries. Then I cut one open and sniffed it. That’s the stuff! very nice series of photos and lots of interesting information. Sorry I can’t help you ID the dino-sized bird – sure would be interesting to know. Great post. Such a beautiful part of the country! Thanks for sharing! Thanks for visiting Mike – Happy Spring!